Sights from “A Miracle on 47th Street”! The two-hour parade wrapped with a special appearance by Santa Claus, surrounding by community queens. 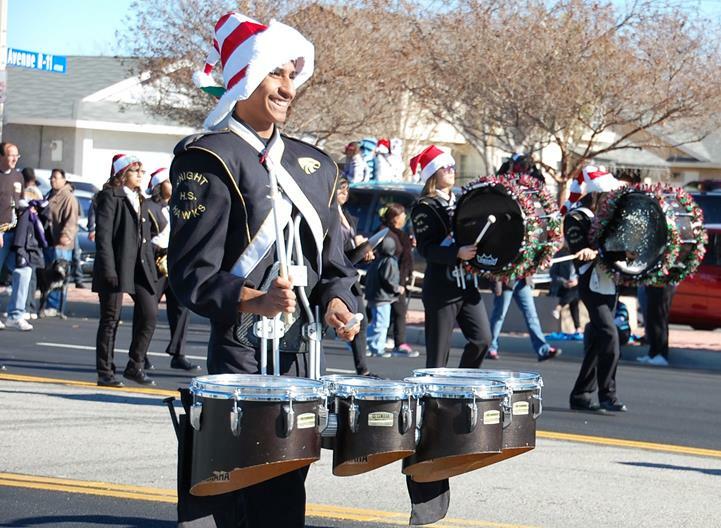 PALMDALE – Shouts of “Merry Christmas!” and “Feliz Navidad!” rang through the air as more than 100 local organizations, high school drill teams, community queens, and Santa Claus made their way down 47th Street East while greeting hundreds of parade goers along the route. The Palmdale Chamber of Commerce William J. 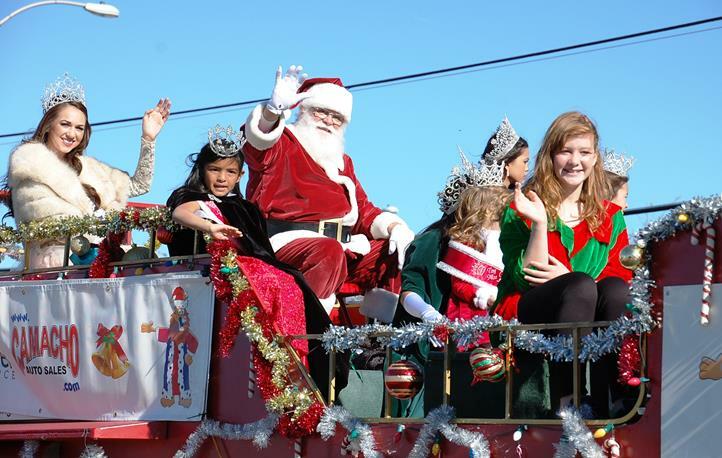 “Pete” Knight Christmas Parade took place from 10 a.m. to around 12:30 p.m. Saturday (Dec. 14). 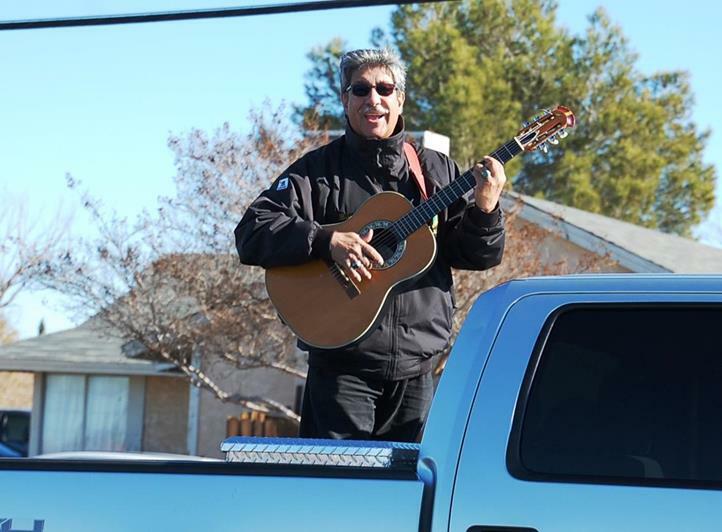 The parade route ran along 47th Street East, from Avenue R to S.
The parade was themed “A Miracle on 47th Street,” and it featured Palmdale Mayor Jim Ledford as the Grand Marshal. 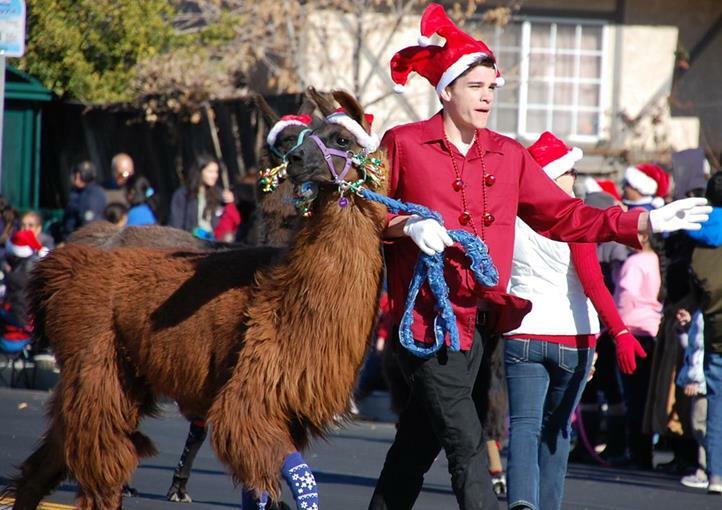 In case you missed it, here are a few sights from this year’s parade. To view more that 100 pictures from this event, visit our Facebook page here. 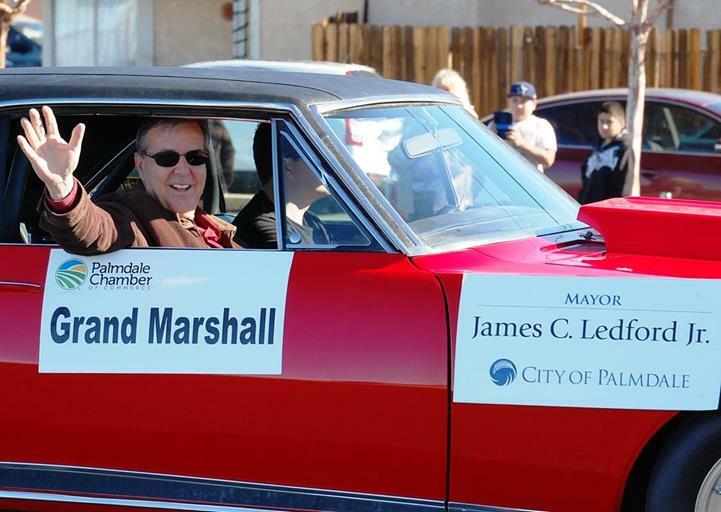 Palmdale Mayor Jim Ledford served as Grand Marshal of the parade. 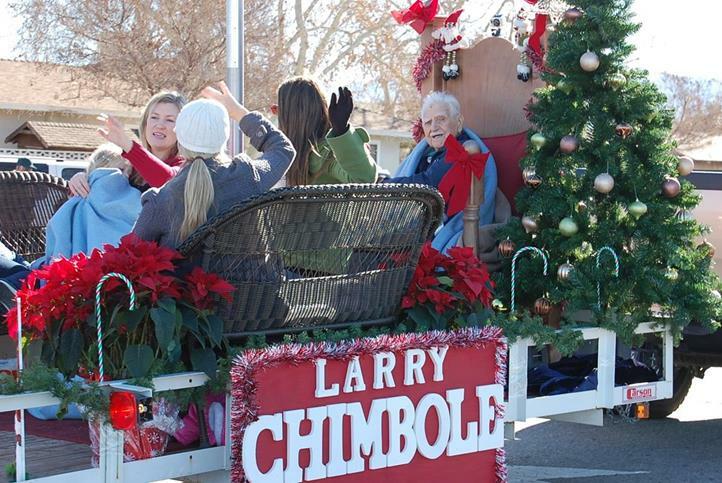 Palmdale’s first mayor Larry Chimbole also took park in the parade. The William J. “Pete” Knight High School marching band was the first of several marching bands that participated in the parade. 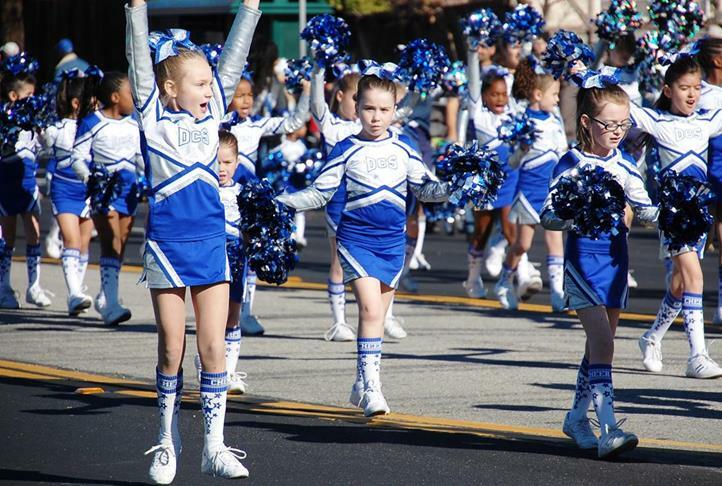 The girls from Dazzler Cheer remained enthusiastic even towards the end of the one-mile parade route. 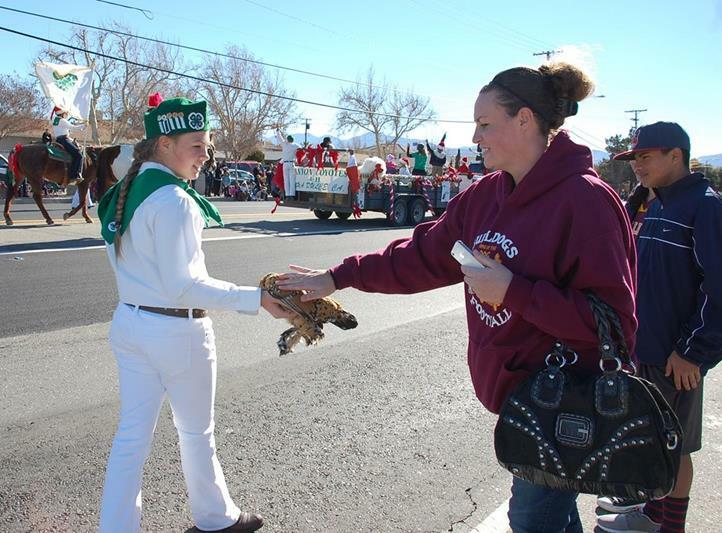 The 4-H club was a hit with animal lovers along the parade route. This llama actually slowed down and appeared to be posing for the camera! 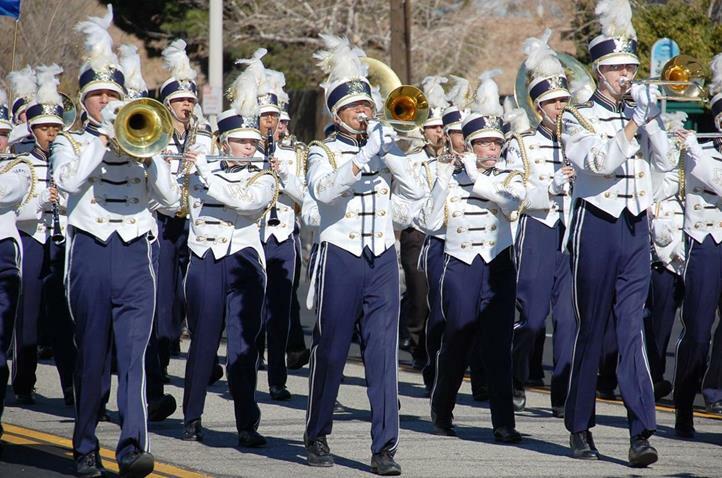 The Quartz Hill High School marching band made an impressive showing. 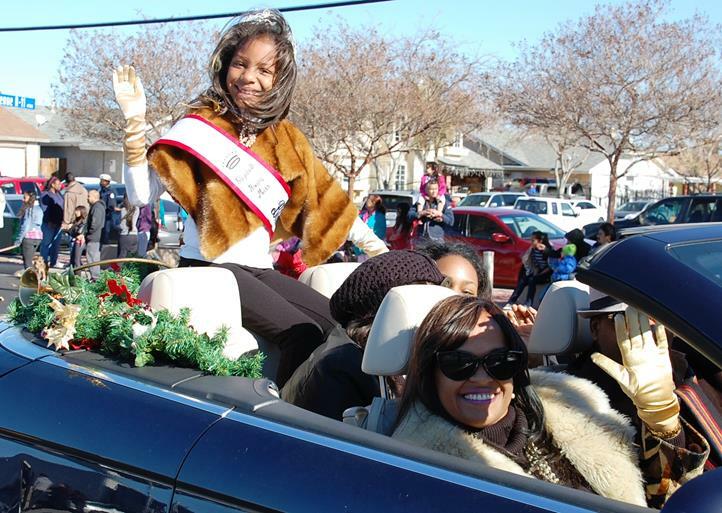 Young Miss Black Antelope Valley Elizabeth was all smiles on the parade route. To view more than 100 pictures from this parade, visit our Facebook page here.